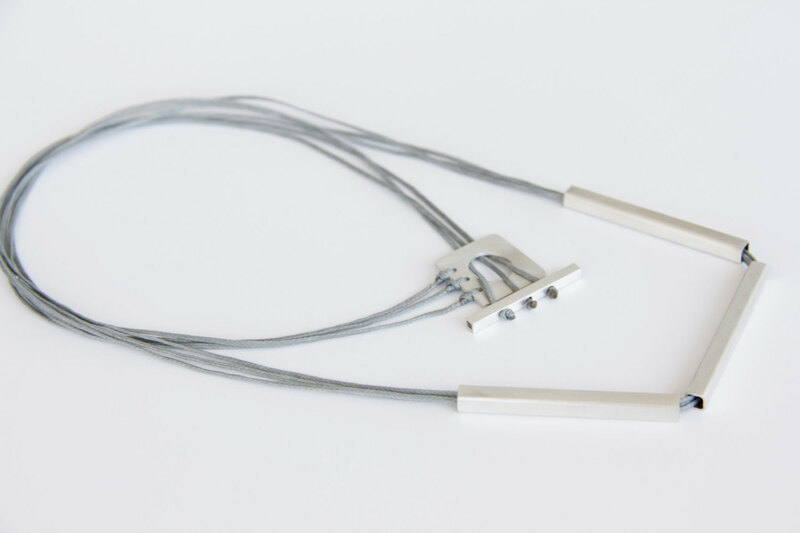 - A minimalist geometric necklace, with three pieces of solid sterling silver square tube hung through three pieces of light gray cotton wax covered cord. 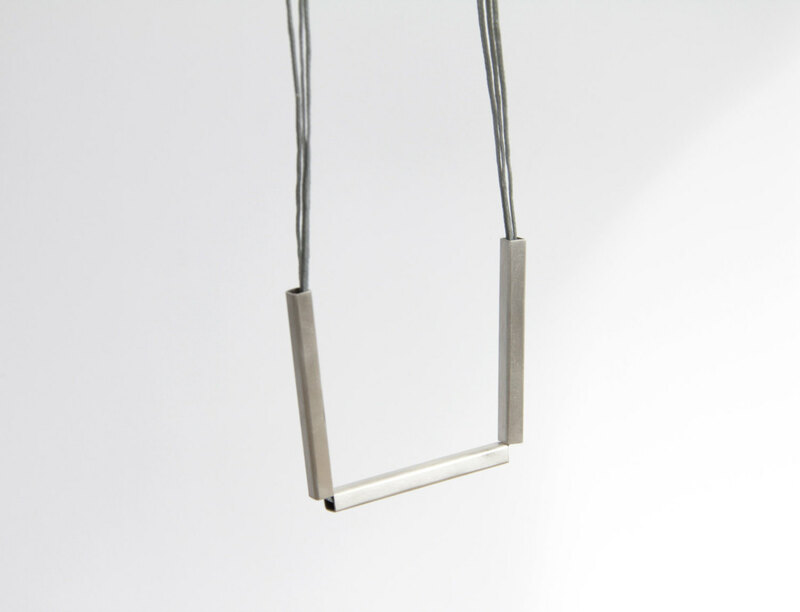 - The necklace fastens with a handmade sterling silver toggle clasp. - The pieces of sterling silver tube each measure 4cm (1.58 inches) long by 4mm wide. - Measures 70cm (27.56 inches) long.